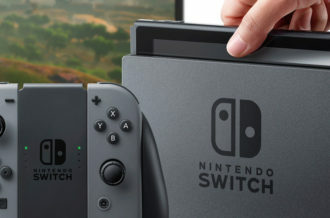 While for many gamers, the excitement of launch is beginning to wind down as they get a case of the Garfields and have to return to their lame jobs that provide for their lame families, there’s a whole section who haven’t even begun to experience the wide-eyed wonder of a next-gen gaming console showing up on their doorstep. Amazon is trying to help hold you over, or possible tease you immensely, by releasing a picture of what looks to be every single Xbox One in their warehouse. 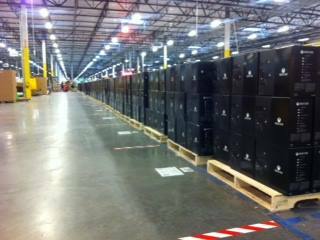 Unfortunately, the picture is rather small, but it’s quite a site to behold thousands of Xbox Ones on palettes ready to be shipped out to consumers. Also of note is how huge the box is — it makes the PS4 seem like a PS Vita by comparison. Now let’s just hope a careless forklift operator doesn’t have an accident and adds some speed holes into your new console.